It is with humble acceptance of God’s will that we announce the death of Mzee William Masese Song’oro of Mosisa village, Nyamasibi, Riuri Sub Location which occurred on 02/07.2018 after one year of illness. Son of the late Song’oro and Sabina. He was brother of the late Matogo, Kerongo, Misati, Oira, Ontita, Machungo, Mwango, Mose, Wilson and Song’oro. 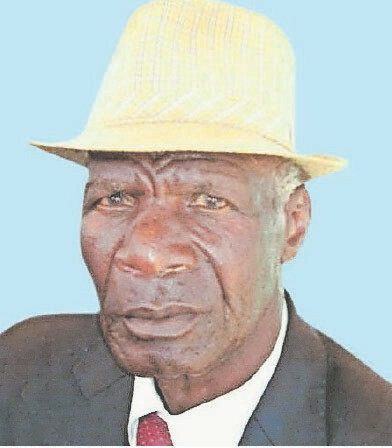 Husband of the late Tabitha Bosibori and Esther Kwamboka. Father of Charles (KENHA), Naftal (Formerly KNH), Stephen, Josephine, Gladys (Nairobi), Josca, Nyanchama, Onserio, Moraa, Sarange, Martha, Aranda and Nyabando. Cousin of Omwoyo, Oira, Hezekiah and others. Father in law of Martha, Eileen, Ann, Thedaquadine and Emily. Grandfather of Morine (USA), Lydia (USA), Kelvin (Maseno), Fred (Canada), Bosibori, Polycarp, Felisters, frank, Stacy, Josiah, Valerie, Tracy, Innocent, Vivian, Sharine, Viona among others. Uncle of Okirigiti, Hezron, Oguri, James, Ongosi, Basweti, Obong’o, Elkanah, Orure, Denis, Nyakoiro, Makworo, Oiras among others. There will be a Harambee at his home in Nyamasibi on 11th July, 2017. The cortege leaves Nyangena Funeral Home, Kisii on Thursday 12/07/2018 at 2.00 pm for viewing at his home in Mosisa as from 4.00 pm. The burial will take place on Friday 13/07/2018 at his farm in Mosisa village, Kisii County.